The beloved fairy tale by Hans Christian Andersen is set to be brought to life at the Donald W. Reynolds Library Serving Baxter County. 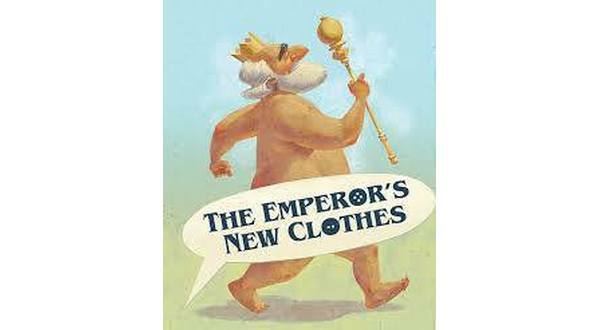 The Arkansas Arts Center Children's Theatre on Tour will perform The Emperor's New Clothes Saturday morning at 10:30.Children's Theatre on Tour is part of the statewide ArtsReach Programs at the Arkansas Arts Center, the state's premier center for visual and performing arts. Recognized by The Drama League as one of the best regional theatre companies in America, the Arkansas Arts Center Children's Theatre is the only professional company in Arkansas producing children's literary works for the stage.Artistic Director Bradley D. Anderson says the Children's Theatre on Tour brings the magic of the theatre to thousands of families across the state. Anderson says every year, these performances charm audiences and create extraordinary theatre experiences that educate, challenge and inspire young people and their communities.Children's Theatre on Tour is traveling to venues around the state throughout the 2018-2019 school season. The Emperor's New Clothes is touring through May 12th. The 2018-2019 season is sponsored by Diane Suitt Gilleland and U.S. Bank Foundation with additional support by The Shubert Foundation. Free educational activity guides for each show can be downloaded at arkansasartscenter.org/activity-guides Arkansas Arts Center Activity Guides. For more information on the Arkansas Arts Center Children's Theatre on Tour, contact Allison Shaw: 501-396-0305 or ashaw@arkansasartscenter.org . For more information about this event, contact: Lisa Sewell, Youth Services Librarian, (870) 580-0703 or lisa.s@baxlib.org . The live performance at the Baxter County Library is sponsored by Barbara Graham. Arkansas Arts Center programs are supported in part by the City of Little Rock, the City of North Little Rock, the Little Rock Convention and Visitors Bureau and the Arkansas Arts Council, an agency of the Department of Arkansas Heritage and the National Endowment for the Arts.